The term Brand Ambassador means different things to different people. In some usages, it’s a corporate position; in others, it’s college kids handing out swag. Often, it means empowering employees to go forth and spread the word. And, increasingly, it means building a power base with a product’s or service’s fans. In that regard, following are a few ideas to fuel the buzz you need from customers to create excitement for your brand. 1. Know the customers most passionate about your product. Look at the base you have and build from there. Google your company or product and see what’s being said. Then start brainstorming about how to turn comments into commitment. 3. Let your employees know what you’re doing and why. Get them excited, as well. You can even provide incentives for bring true Ambassadors on board. 4. Go social. Set up forums for your fans and get conversations started on social media or on your own web site. 5. Encourage your active Ambassadors to invite kindred souls. Remember that you’re not searching so much for quantity as quality when it comes to people who represent your brand. 6. Reward your Ambassadors. Whether with the occasional lagniappe, or insiders’ emails or special status at events or notifications specific to them. 7. Listen! Along the same lines, don’t forget to listen to what your Ambassadors say, acknowledge it and, if appropriate, act on it. There’s no better reward than knowing you’re being heard. There’s more, of course, but these are some of the basics. A good place to start is the next time someone says, “I use your product/service all the time.” Instead of thanking them, ask questions as to why. 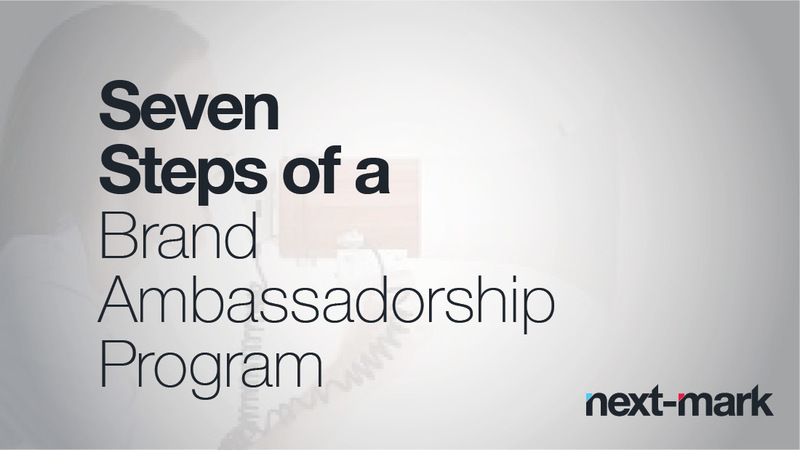 You may find out you already have Ambassadors. You just have to reach out to them to make the most of their enthusiasm. Need help getting started? You know where we live.